This is a common thought of friends and family members dealing with the problem of addiction in a loved one. A professionally facilitated intervention may be the answer. Alcoholism, drug, and food addiction are progressive and often fatal. 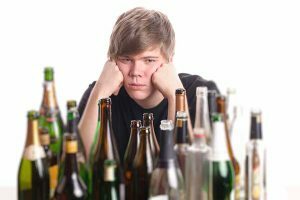 Fortunately, addiction is a disease that can be successfully treated—provided that the alcoholic or addict gets suitable help in time. The intervention initiates the addicted person’s process of “hitting bottom”. It works to break both the individual and the family members’ ties to the disease so that the journey to a healthy and productive life can begin for all involved. There are several models of intervention. The method we use is the "Family Invitational Intervention". This model of intervention is different from others because the addicted person is openly invited to attend. Family members and significant others learn about and discuss the affects of addiction. The meeting is organized in a way that allows the addicted person to lower their defenses, principally because the material is not directed at them, but rather to the family as a whole. We call it the "gentle, respectful intervention". Excerpt from Dr. Jason Kilmer’s presentation. Scary, yet fascinating research regarding our young adult population and addiction.